OZO Colombo announces the appointment of its new Executive Chef, Boumaza Mohamed Mehdi. 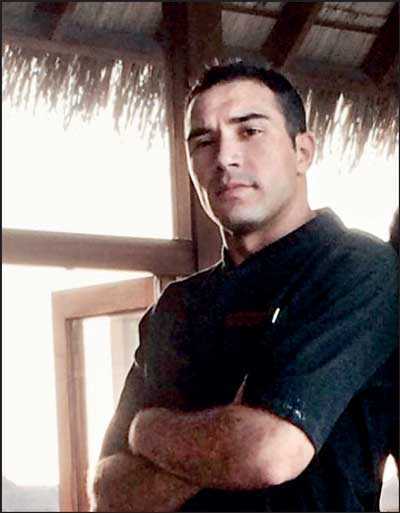 Algerian-born Mehdi brings with him more than 10 years of experience from all over the globe, having worked in the hotel industry in Tunisia, Thailand, Dubai and the Maldives. In an impressive career that has seen him working in international hotels chains such as Conrad Hotels and Crowne Plaza Dubai, he has amassed culinary experience in European, French, Asian and Middle Eastern cuisines. Travelling and working in different regions and countries has influenced Chef Mehdi’s ability to create unique combinations of delightful cuisine. For OZO Colombo this means that our guests can now go on a wonderful gastronomy journey of fine dining but in a casual atmosphere. Chef Mehdi’s creations are nothing less than culinary delights with a global rendition of aroma, taste, flavours and textures. He has the finesse of providing the highest quality of cuisine with speed of service, which fulfils the OZO brand promise. “It is with great pleasure that we welcome Chef Mehdi to the team. He brings with him a vast range of global culinary experience along with management skills that will be of tremendous benefit to the continued growth of our diverse outlets. We are confident that our guests will love the food he creates for their tables,” said OZO Colombo Hotel Manager Roshan Adihetty. Chef Mehdi’s career in his native Algeria started as a young boy in his family’s business. From his early years, he was an apprentice to his father who owned a traditional coffee factory. His professional culinary career began in Algeria at a fine dining restaurant, which eventually led to a Tunisian beach resort in Hammamet before he started exploring abroad on his professional, culinary journey. Of all the accolades and recognitions received, Chef Mehdi’s highest honour was in receiving an award at ‘the best underwater restaurant in the world’ in 2015, directing an energetic team as the Chef in Charge at the Ithaa Undersea Restaurant, Conrad Maldives. To indulge in exquisite dishes served with international flavour prepared by Chef Mehdi and his team at OZO Colombo, visit the EAT Restaurant or ON14 Rooftop Bar and Lounge. For more information, please contact OZO Colombo on +94 11 2 555 570 / EAT on + 94 11 2 030 528 or visit www.ozohotels.com.